Over the last day, Russian proxies committed four ceasefire violations in eastern Ukraine. 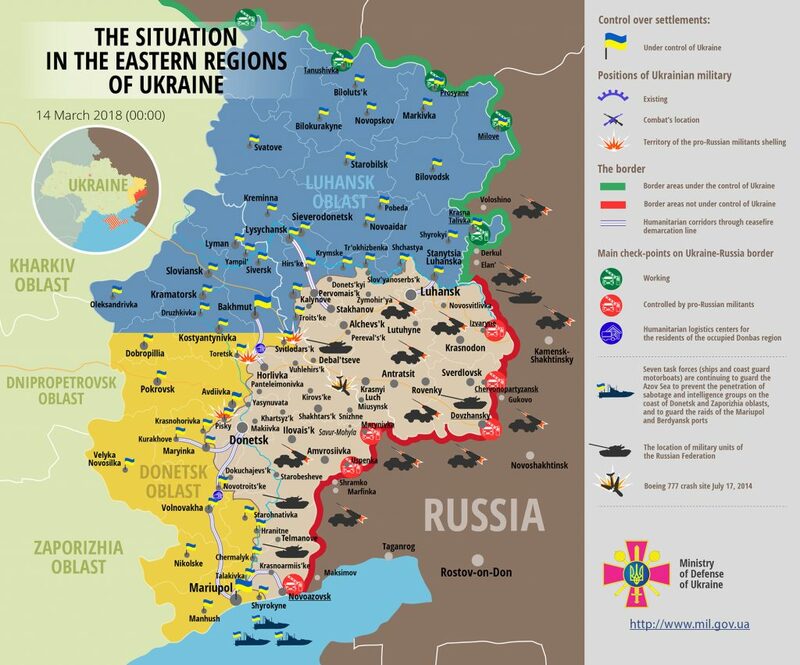 “Unfortunately, one Ukrainian serviceman was wounded in action in Donetsk sector,” reported Ukrainian Ministry of Defense spokesman on ATO Dmytro Hutsulyak at a press briefing at Ukraine Crisis Media Center. In Luhansk sector, Russian proxies delivered an hour-long attack in Luhanske area at 05:00 using mounted grenade launchers and heavy machine guns. After 21:00, militants attacked the Ukrainian troops’ positions near Zalizne village (former Artemove) with automatic grenade launchers and small arms. In Donetsk sector, the enemy delivered a small arms attack in Shakhta Butovka area at 09:00. “Moreover, militants shelled Ukrainian troops’ positions near Pisky with 82-mm mortars and accompanied the attack with small arms and heavy machine guns,” the ATO spokesperson said.